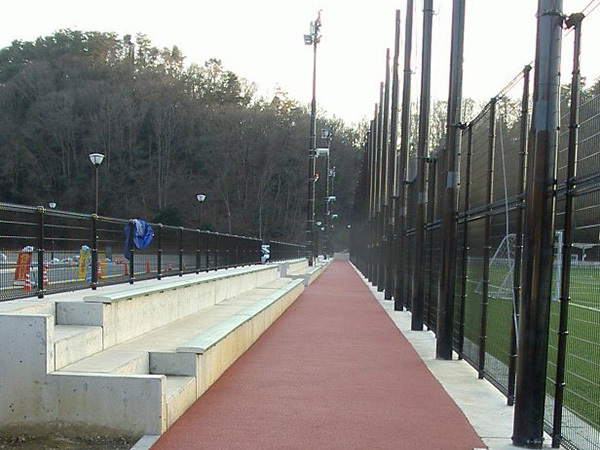 The COLORPHALT DA construction method is color elastic paving (rubber chip paving) for pedestrians. 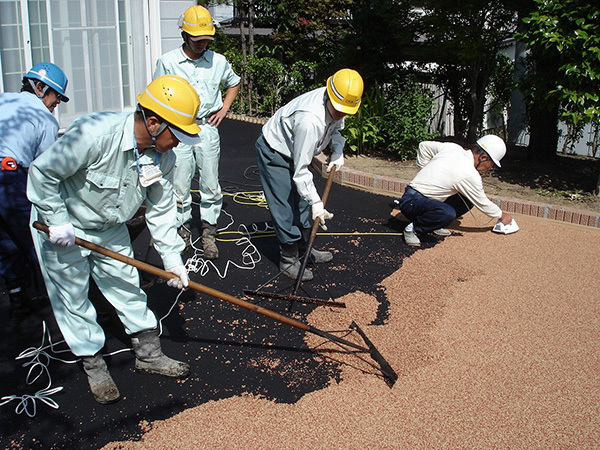 The COLORPHALT DA construction method uses the “COLORPHALT DA” urethane resin, which is a type of resin-based bonding material, and various types of rubber chips (EPDM and waste tires). Due to the rubber’s elasticity, the method has a high shock-absorbing ability, and is safe since it will not cause injury even if people fall on it. Because it has permeability, puddles will not form even when it rains. There are a wide range of color variations which support designs that match particular images. Parks, golf courses, amusement facilities, etc.